During the holiday season, I worked on Woolly Pocket's holiday campaign. 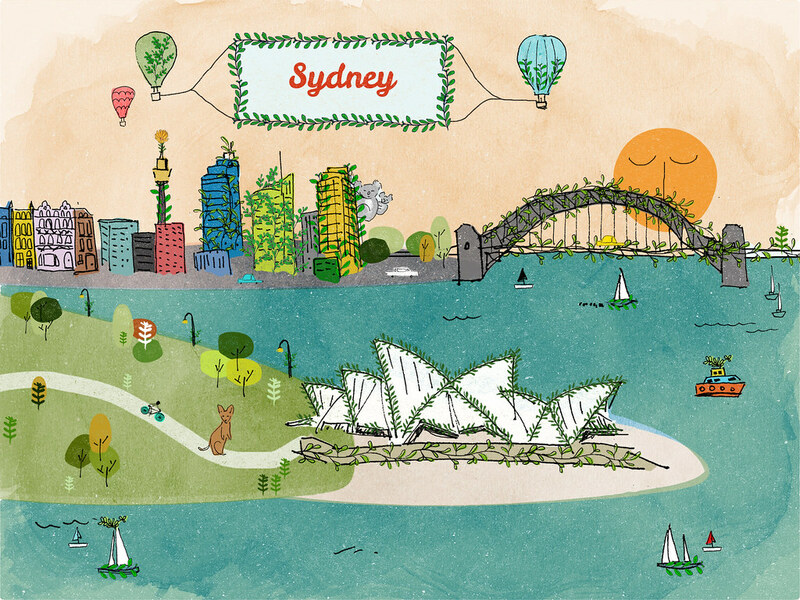 The project was to illustrate different cities in the world get taken over by plants. 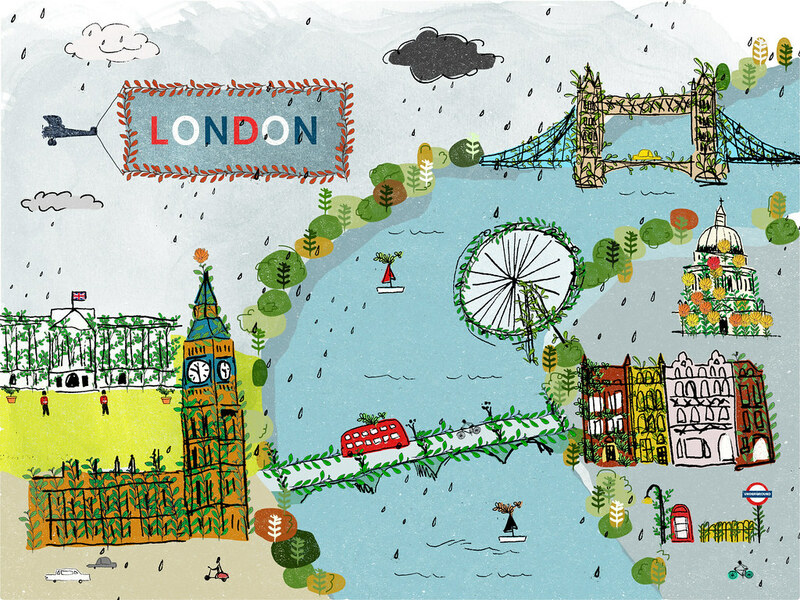 I doodled Cairo, Moscow, and San Francisco, but London and Sydney are my favorites. I still haven't been to London but I hope I get to soon! Does anyone wanna house me for a couple months and I'll come decorate your space? Pretty please? Anyway, after drawing six cities, I wanna draw Los Angeles to show all the fun spots to eat, drink and play! I have a friend from NYC visiting LA for the first time, so it'll be perfect.